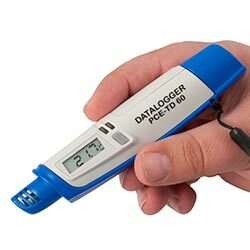 The Temperature Data Logger PCE-TD 60 with a measuring range of -40 … +85 °C and USB port allows the detection of temperatures in an adjustable interval. 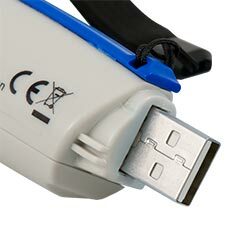 If you want to analyse the measurements which are stored in the internal memory, you have to connect the Temperature Data Logger via USB port to your computer. The temperature is defined by internal sensors. On the integrated display you can see the current measurements. 32.000 measurements can be stored in the internal memory. 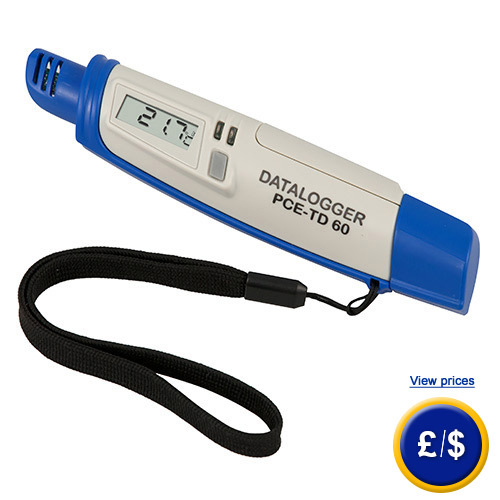 The Temperature Data Logger is equipped with a durable lithium battery. The Measuring interval is adjustable from 1 second to 6 hours, which allows a data acquisition according to definable schedule. The Temperature Data Logger can be operated on off- and online mode. If the measuring range is exceeded you can hear the programmable optical alarm sound. With the USB interface, a direct real-time data acquisition to the computer is possible. Here you can see an overview off all Temperature Data Logger. If you have further questions about the Temperature Data Logger, look at the following technical information, read the technical data or get in contact with us: UK customers +44(0) 23 809 870 30 / US customers +1-410-387-7703. Our technicians and engineers will inform you about our Temperature Data Logger or any other product of in the field of Regulation and Control, Measuring Instruments or Scales and Balances of PCE Instruments Ltd.
0 ... +50 °C, <80% r.H. The Temperature Data Logger has a compact size. Using the USB interface, you can analyse the saved data at the computer.